Client Rights - Leppla Associates, Ltd. 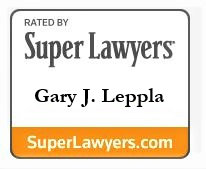 This information about clients’ rights is being provided to you by Leppla Associates to help prevent any misunderstandings between you and your lawyer. Please read this carefully. The section, “WHAT TO EXPECT AFTER RETAINING A LAWYER,” tells what you, as a client, are entitled to by law or by custom. Before you enter into a contingency fee arrangement, read and understand this information. Many of the suggestions listed in the “Statement of Client’s Rights” are helpful to those thinking about hiring an attorney in any situation, not just a contingency fee case. If you ever have any question about your rights as a client, or about the way your case is being handled, please do not hesitate to ask your lawyer. He or she should be readily available to represent your best interests and keep you informed about your case. There is no legal requirement that a lawyer charge a client a set fee or a percentage of money recovered in a case. You, the client, have the right to talk with your lawyer about the proposed fee and to bargain about the rate or percentage as in any other contract. If you do not reach an agreement with one lawyer you may talk with other lawyers. Any contingent fee contract must be in writing and you have three (3) business days to reconsider the contract. You may cancel the contract without any reason if you notify your lawyer in writing within three (3) business days of signing the contract. If you withdraw from the contract within the first three (3) business days, you do not owe the lawyer a fee although you may be responsible for the lawyer’s actual costs during that time. If your lawyer begins to represent you, your lawyer may not withdraw from the case without giving you notice, delivering necessary papers to you, and allowing you time to employ another lawyer. Often, your lawyer must obtain court approval before withdrawing from a case. If you discharge your lawyer without good cause after the three-day period, you may have to pay a fee for work the lawyer has done. Before hiring a lawyer, you, the client, have the right to know about the lawyer’s education, training, and experience. If you ask, the lawyer should tell you specifically about his or her actual experience dealing with cases similar to yours. If you ask, the lawyer should provide information about special training or knowledge and give you this information in writing if you request it. Before signing a contingent fee contract with you, a lawyer must advise you whether he or she intends to handle your case alone or whether other lawyers will be helping with the case. If your lawyer intends to refer the case to other lawyers he or she should tell you what kind of fee sharing arrangement will be made with the other lawyers. If lawyers from different law firms will represent you, at least one lawyer from each law firm must sign the contingent fee contract. If your lawyer intends to refer your case to another lawyer or counsel with other lawyers, your lawyer should tell you about that at the beginning. If your lawyer takes the case and later decides to refer it to another lawyer or to associate with other lawyers, you should sign a new contract which includes the new lawyers. You, the client, also have the right to consult with each lawyer working on your case and each lawyer is legally responsible to represent your interests and is legally responsible for the acts of the other lawyers involved in the case. You, the client, have the right to know in advance how you will need to pay the expenses and the legal fees at the end of the case. If you pay a deposit in advance for costs, you may ask reasonable questions about how the money will be or has been spent and how much of it remains unspent. Your lawyer should give a reasonable estimate about future necessary costs. If your lawyer agrees to lend or advance you money to prepare or research the case, you have the right to know periodically how much money your lawyer has spent on your behalf. You also have the right to decide, after consulting with your lawyer, how much money is to be spent to prepare a case. If you pay the expenses, you have the right to decide how much to spend. Your lawyer should also inform you whether the fee will be based on the gross amount recovered or on the amount recovered minus the costs. You, the client, have the right to be told by your lawyer about possible adverse consequences if you lose the case. Those adverse consequences might include money which you might have to pay to your lawyer for costs and liability you might have for attorney’s fees to the other side. You, the client, have the right to receive and approve a closing statement at the end of the case before you pay any money. The statement must list all of the financial details of the entire case, including the amount recovered, all expenses, and a precise statement of your lawyer’s fee. Until you approve the closing statement, you need not pay any money to anyone, including your lawyer. You also have the right to have every lawyer or law firm working on your case sign this closing statement. You, the client, have the right to ask your lawyer at reasonable intervals how the case is progressing and to have these questions answered to the best of your lawyer’s ability. You, the client, have the right to make the final decision regarding settlement of a case. Your lawyer must notify you of all offers of settlement before and after the trial. Offers during the trial must be immediately communicated and you should consult with your lawyer regarding whether to accept a settlement. However, you must make the final decision to accept or reject a settlement. If at any time, you, the client, believe that your lawyer has charged an excessive or illegal fee, you, the client, have the right to report the matter to The Florida Bar/Ohio Bar, the agency that oversees the practice and behavior of all lawyers in Florida/Ohio.